Office St. Petersburg. This call is always free. No fees or costs unless you win. Call today 727-201-5154 Coupon void if altered. Representing the injured in St. Petersburg for over 40 years. Nursing home abuse? Injured? 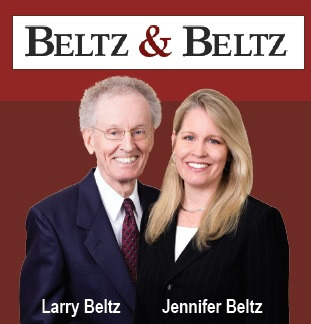 Call Beltz & Beltz today. At Beltz & Beltz our lawyers make it their mission to see that their clients — the injured and the families of those who have died from their injuries — are fully compensated for all their losses. That’s why the firm’s lawyers will not represent any insurance companies or other large corporations. At Beltz & Beltz we are committed to giving you the personal attention that you deserve. If you have been injured or have lost a loved one, call and speak with a lawyer…not some clerk in a call center. Auto Accidents, Motorcycle Accidents, Truck & Commercial Vehicle, Accidents, Bicycle & Pedestrian Accidents, Nursing Home Abuse, Medical Malpractice, Dog Bite, Slip & Fall/Premises Liability, Claims, Product Liability, Stryker Hip Implants, IVC Filter, Hernia Mesh.